Another successful and productive S.P.O.R.T.S. conference is in the books and the host city for 2019 was announced. This year’s conference in Winston-Salem, N.C. faced a threat from Hurricane Florence as the massive tropical storm made its way to the Atlantic Coast, threatening North Carolina, South Carolina, Virginia and Georgia with hurricane force winds reaching Category 4 and 5 before downgrading and making landfall near Wrightsville Beach, N.C. with maximum sustained winds of 90 mph on Sept. 14. With Winston-Salem’s inland location more than 200 miles from the coast, evacuees made their way to the city seeking refuge. Fortunately for S.P.O.R.T.S. 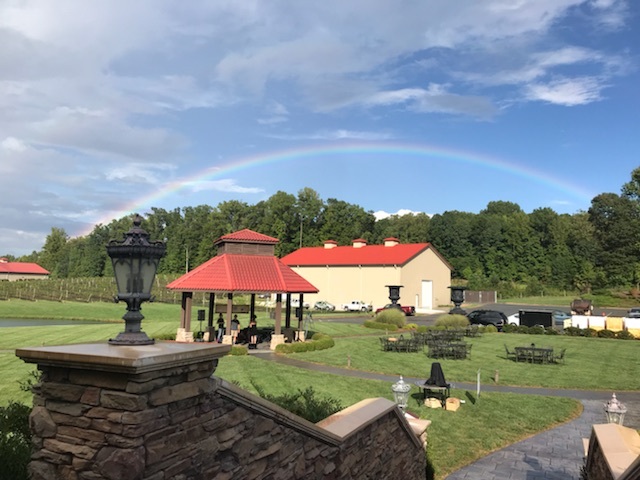 attendees, the impending storm never posed a serious threat during the conference and roads, airlines and businesses were fully open and light rains on the closing day turned to sunny skies with a rainbow over the closing reception at Childress Vineyards. Registration for this year’s conference closed early in July and a waiting list quickly developed with planners and suppliers hoping for cancellations that did not materialize. 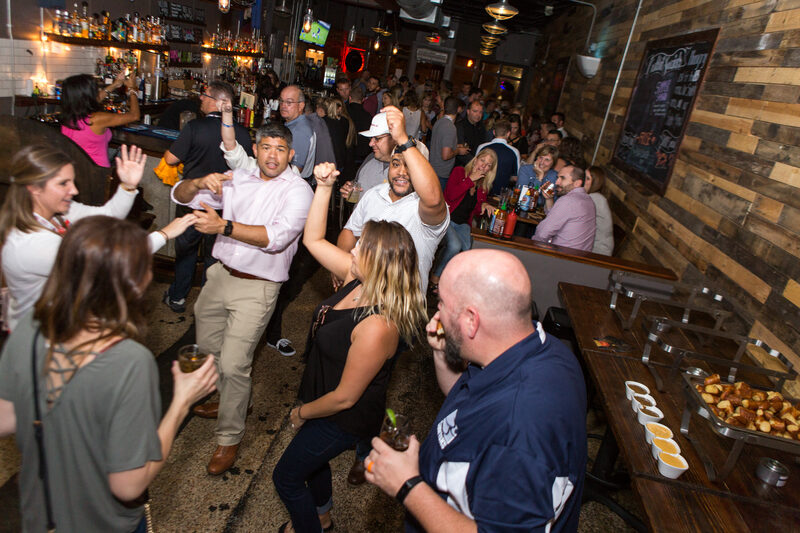 According to Carrie O’Connor, director of corporate events for SportsEvents Media Group, registration closed to ensure the commitment of a low ratio of suppliers to planners at this reverse trade show. In all, more than 2,800 15-minute appointments were scheduled between sports events planners and suppliers at the Benton Convention Center in downtown Winston-Salem. At the end of the first day of appointments and panel discussions, Visit Winston-Salem, the city’s destination marketing organization and conference host treated attendees to a “Taste of Winston-Salem” complete with food stations, NFL Monday Night Football and Madden NFL video game challenges in a tailgate-type party on the upper level of the convention center. Conference-goers enjoyed a variety of hand-crafted, updated burger sliders, made to order fried okra by Chef Richard Miller, herb marinated pork medallions over mashed sweet potatoes, tacos, s’mores, and specialty cocktails, including a local Sunshine energy drink and craft beer from Foothills Brewing at multiple food and drink stations. Following the second day of appointments, a technology panel discussion and an inspirational speech by Ben Sutton, Jr., attendees hit the town for dinner on their own before gathering for an after-hours reception at Small Batch Brewery where guests enjoyed craft beers, live music and Kentucky bourbon provided by Team Kentucky. 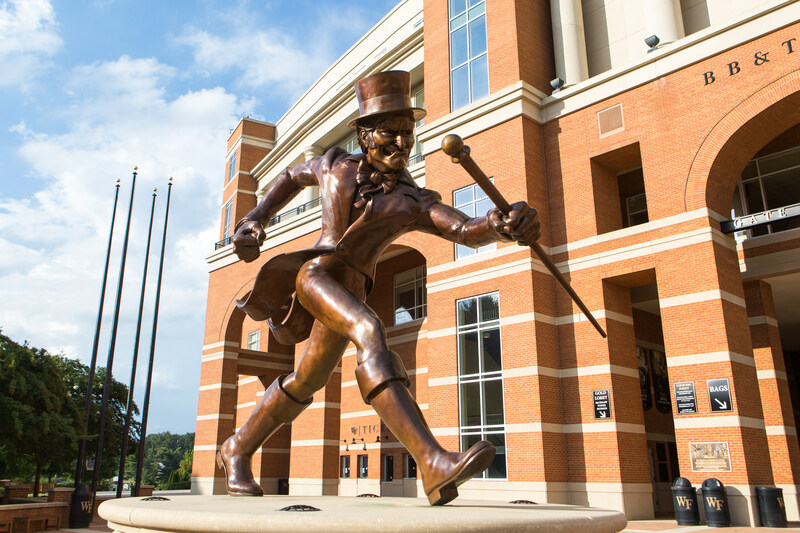 This year, in addition to scheduled 15-minute appointments at the convention center, attendees moved to Wake Forest University’s BB&T Field where an afternoon blitz allowed planners and destination officials to network and conduct business in an informal setting in McCreary Tower overlooking the football field and surrounding area. 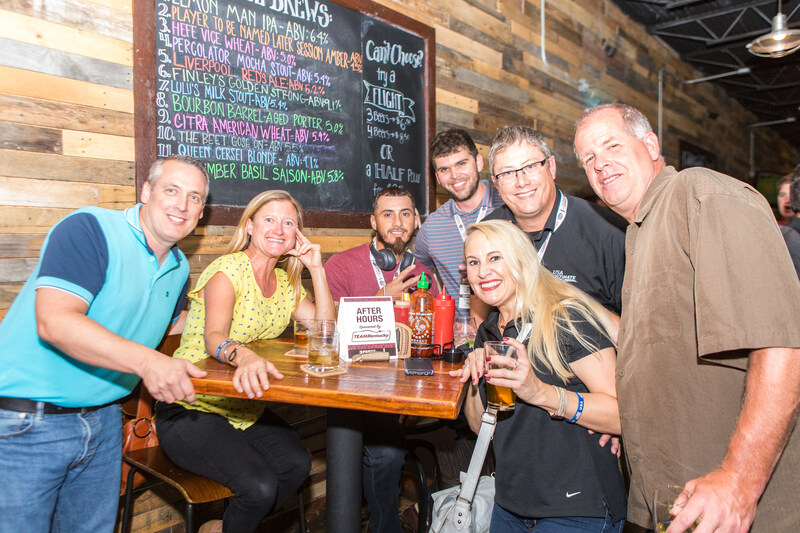 Attendees had full access to the Flow Lexus Club Level and the suites on the fifth floor. The seven-story tower includes press facilities, boxes, luxury suites, the president’s suite and room for visiting athletic directors and broadcast booths. Wednesday’s session included appointments, a panel discussion on technology in sports and a keynote address by Alan Stein, Jr. who spoke about aiming for consistent excellence in all areas of life. 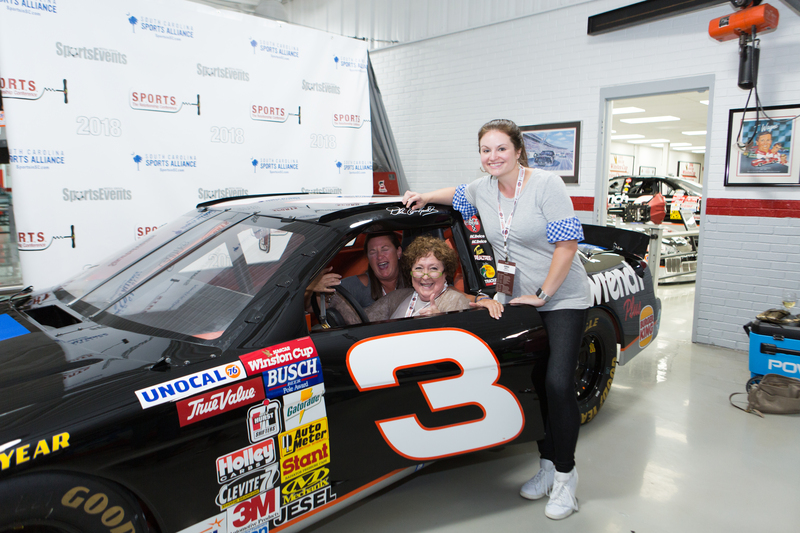 On the final day of the conference, attendees boarded buses and headed to the Childress Racing Museum for a tour and photo opportunities with race cars, including those driven by Dale Earnhardt, Jr. Following the museum tour, attendees arrived at Childress Vineyards for the closing reception, which included filet mignon, roasted chicken, vegetables and assorted desserts in addition to wine and beer. 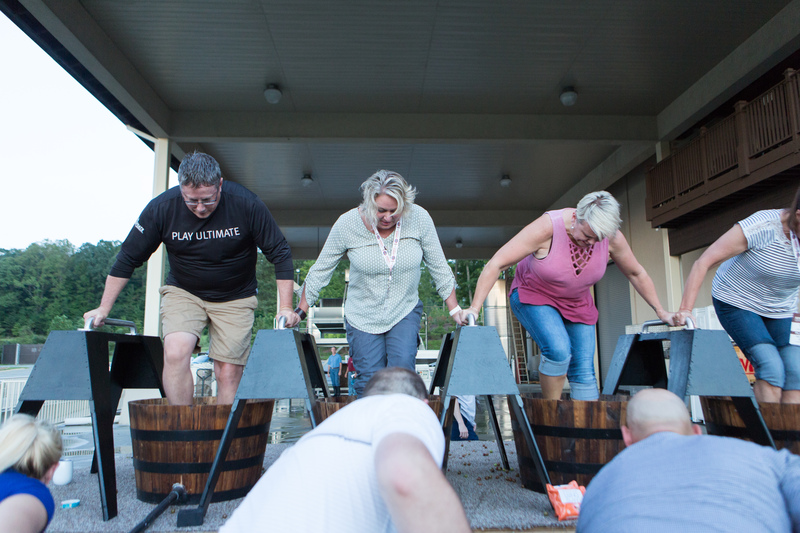 At the closing reception, attendees enjoyed grape stomping competitions, giant Jenga, archery tag, lawnmower racing demonstrations and live music. The highlight of the closing reception is the grand announcement of the next year’s host destination. This year, a teaser video, beach ball toss and a muscle-bound O’Connor dressed as a lifeguard revealed that the 2019 S.P.O.R.T.S. The Relationship Conference will be held in Panama City Beach, Florida and Visit Panama City Beach. “Wow! Beautiful location, classy architecture, fun activities, festive, excellent wine, excellent food, excellent music, excellent operation and an excellent group of people to chat with and learn from gathered from across the USA and beyond. (Excellent speakers during the week, too!). Kudos to the leadership team!!! Forever impressed,” wrote Gregory Scoma, World Table Hockey Association, Inc. (WTHA) in a follow-up email and social media posts after the conference. Wanda Rutledge echoed those sentiments saying: “Closing event at 2018 S.P.O.R.T.S. Conference held at Childress Vineyards in Winston-Salem, N.C. last week. Fun night with sports colleagues trying our skill at everything from croquet, corn hole, extreme archery, lawnmower racing, wine stomp and of course, wine tasting. Thanks, Talty O’Connor, Carrie Whitman O’Connor, Kelsey and the gang. Best conference ever. We survived Florence!” Rutledge, president of the National Council of Youth Sports wrote in an email following the conference.